GEORGE T. GLOVER is managing director of Focused Capitol Solutions LLC (FCS). After a 16-year career with The Cincinnati Gas and Electric Company and Cinergy Corp., he created GTG and Associates in 1997 and joined FCS in 2003 with offices in Cincinnati and Columbus. 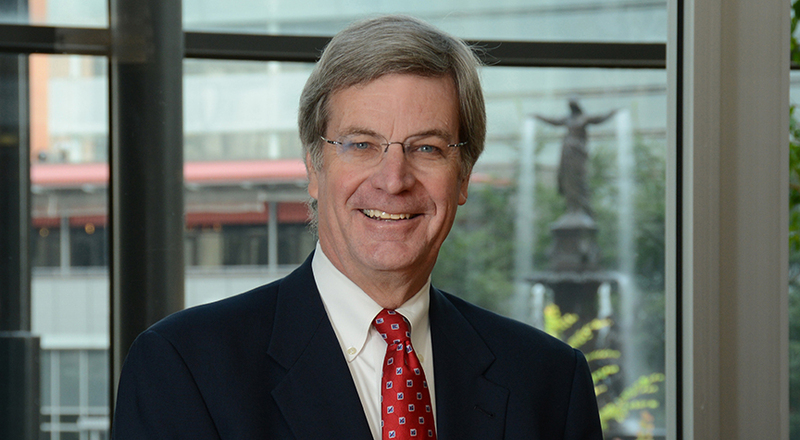 Throughout his career, George developed and maintained relationships with elected officials in the City of Cincinnati, Hamilton County, Ohio General Assembly, U.S. Congress and regulatory and administrative agencies in local and state government. He has designed and implemented political action committees and grassroots programs and has participated in a variety of forums involving public testimony and corporate fundraising activities. An area of specialization is transportation-related projects, where George has worked with the U.S. Department of Transportation, Federal Highway Administration, Ohio Department of Transportation, Ohio-Kentucky-Indiana Regional Council of Governments and Butler, Warren and Clermont County Engineer Offices on a variety of projects, including the Brent Spence Bridge, Eastern Corridor Multi-Modal Transportation and Kennedy Connector Projects. George is a member of Leadership Cincinnati Class 18. He is also included on the Cincy Magazine Power 100 list, the annual listing of the TriState's most influential leaders in business and politics. George's civic activities include leadership roles in non-profit and volunteer organizations in Southwest Ohio, including the Boy Scouts of America and the Ohio History Connection.